← Is there any truth to the rumor that ants eat cows, people and crops? Can I Bring That On a Plane? It’s happened to all of us. You go to the pet store or the adoption agency and fall in love with a big sweet pair of eyes. Or like, 4 pairs of eyes. And 8 legs. Okay, maybe it doesn’t happen to all of us. I love this tarantula. I’d take Ziggy home in a heartbeat if she didn’t belong to UGA. But if it does happen to you, you might need to get your new 8 legged home across the country. What are your options for doing this? ping @BugQuestions RT @mbeisen anyone know about rules related to the transport of live insects in carry-on bags on US domestic flights? Before we get there though, we have establish some base lines about paperwork and where you’re going. Several exotic insect and spider species can be brought across state borders. 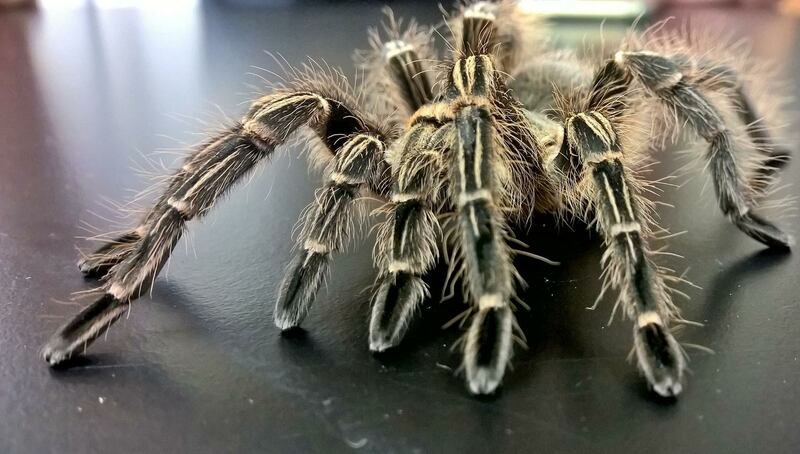 Chilean Rose Hair Tarantulas, Zebra Tarantulas, and Madagascar Hissing Cockroaches are all popular picks in the pet trade. This is for several reasons including safety and the fact that you don’t need a permit to have them in the United States. They can also cross state lines. 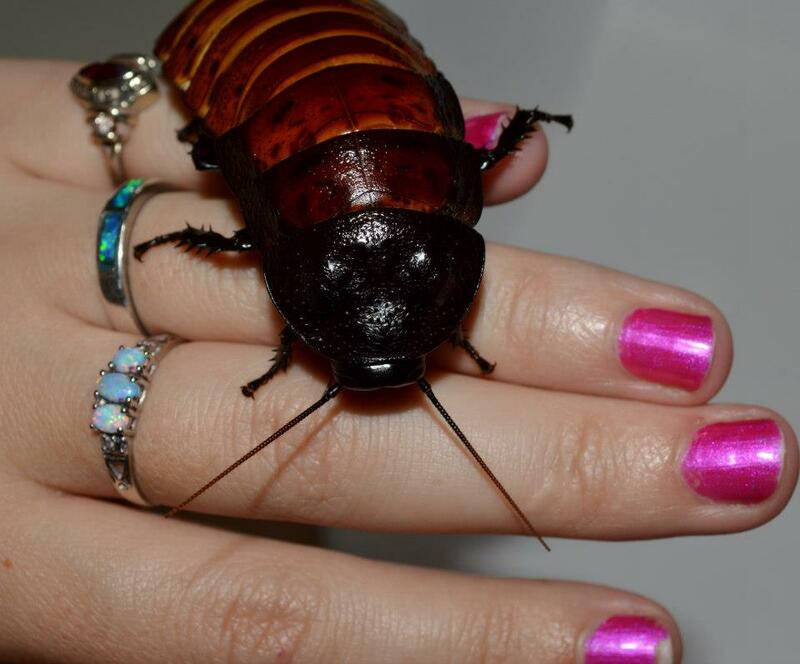 This is a Hissing Cockroach. They’re sold commonly throughout the US as pets. Some insects that are native to the United States are considered pest species and aren’t allowed to cross state borders. That’s why ant farms sold in the US usually have Harvester Ants, despite Harvester Ants having arguably the most painful ant sting in North America. 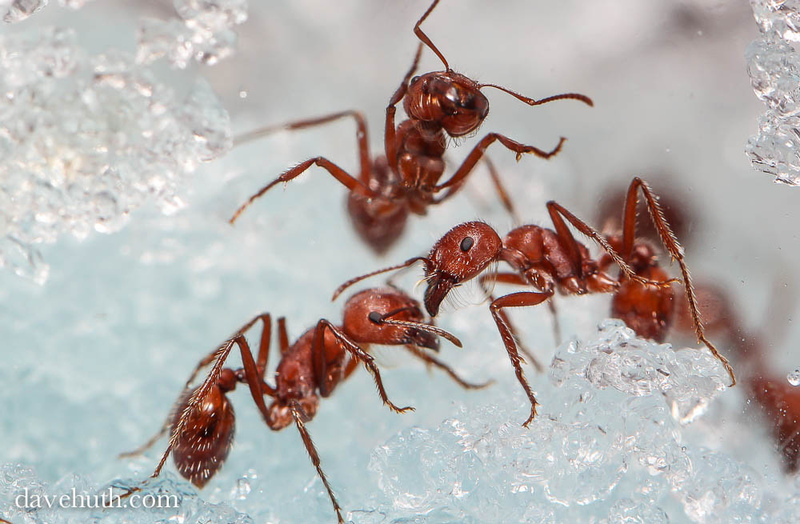 Other ant species are considered pest species and their transportation across state lines is prohibited. Europe is much more insect friendly. 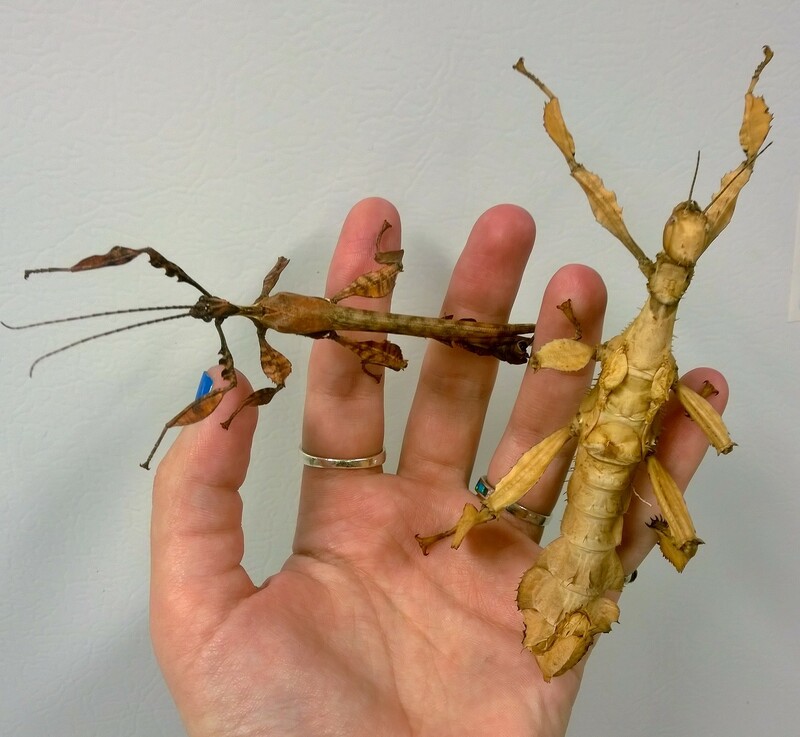 Many stick insects and mantises that are illegal to have without permits in the United States are perfectly legal in Europe. This is what you get in ant farms. Be careful though, they have a really painful sting! So before you load your fluffy or 6 legged friend into your baggage, make sure you know the laws and regulations in your state. Oregon makes it really easy to know what’s allowed and what’s not. In other states, however, finding this information is more difficult. If you can’t find it yourself, breeders or pet stores who are selling you the arthropods should know this information. It’s best to ask. I Have Something Not on the List! If you want or have exotic insects, it’s your responsibility to have the paperwork and permits. Your seller should also have the appropriate paperwork but the burden ultimately falls on you. If you have exotic insects or are trucking your bugs across state borders, be sure to have all of your official paperwork on you. You don’t want to get caught up somewhere. If you’re moving bugs internationally, things become much more complicated and are beyond the scope of this post. But in short, you’ll need a variety of permits including import and export permits from the countries you’re involved with. If you’re moving bugs that could potentially be pests, then you need to sign up for other permits. If you just have exotic pets, then you need possession permits. Great! I Got My Bugs and My Papers! Quick internet searches bring up a lot of discussion forums about the topic. Some people say “It’s fine!” Others say “It’s totally not fine!” So I called TSA to take the guesswork out of it **. TSA told me that for domestic flights, arthropods legal in the United States are okay to travel with in a carry on. Your pet may be subject to screening in which case you can ask for non-xray screening for the health of your buddy. Your animal should be properly caged for travel. TSA did say that you should call your airline and determine if it’s okay for the tarantula to be in your carry on. This is where things got a bit more complicated. I called both Delta and American Airlines (which now also owns US Airways). They both told me that only dogs and cats are allowed on the planes in carry on luggage. I didn’t talk with a representative for Southwest but their website clearly indicate that they only accept small dogs and cats. That being said, only TSA actually screens your luggage. I’m not advocating a blatant disregard for airline policies, I’m just stating the facts. I also didn’t contact other smaller airlines, so if you’re flying with someone besides these three – call and find out their policies. 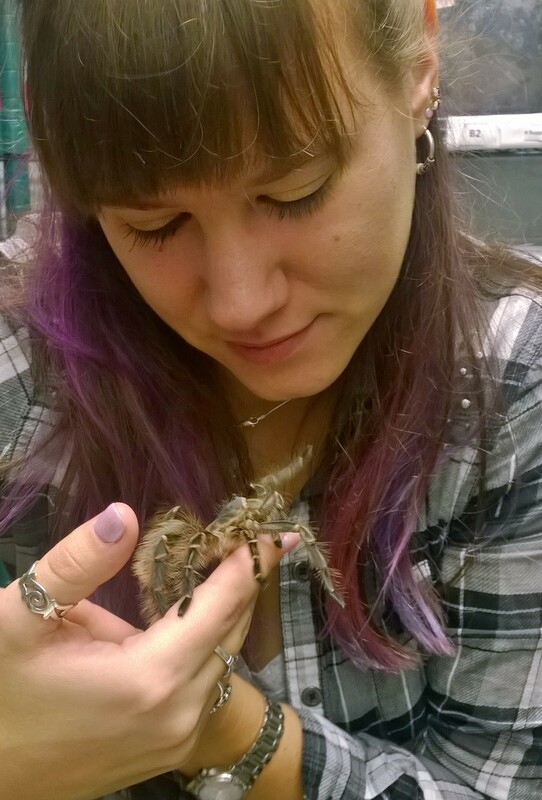 I was told a story at an Entomological Society of America (ESA) conference in Portland that a man had his tarantula and had no problems through TSA or screening. However, there was apprehension when he got to the plane. The pilot didn’t want it in the cabin. Instead of being angry, the man used it as an educational opportunity. He took the tarantula out, told the pilot about it, about its biology, its name, and let the pilot hold it. Afterwards, the pilot decided that it wasn’t threatening and allowed it on his plane. If you don’t want to gamble with carry on luggage, you have two options. You can ship your critter or put it in your checked luggage. Either way, the belly of the plane or the back of a truck doesn’t have temperature regulation. So depending on the length of your flight, or where you’re shipping, you may want to consider the biology of your animals. If you do check your arthropod, you’ll probably want to pack it the same way as you’d pack to ship it. 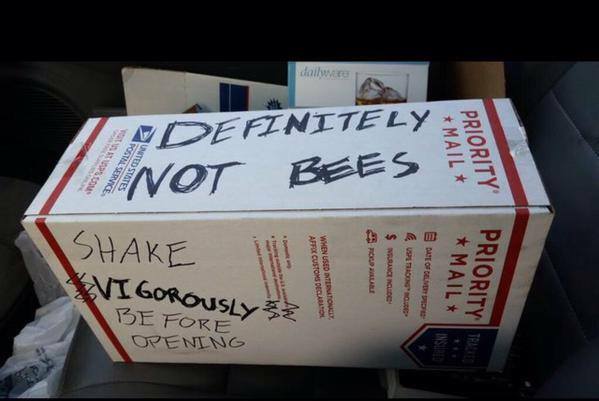 If you ship your arthropod, I’d highly recommend overnight shipping and no longer than 2 day shipping. Insects and spiders can easily freeze or bake in the back of a truck. Please be respectful of your arthropod’s biology. Here’s a video for how you should pack a tarantula, but the concept is same for other arthropods as well. In fact, tarantulas are probably one of the most fragile arthropods because they’re prone to hemorrhaging if dropped or mishandled. We love our spidey friends! And our other many legged friends too. Before you even try and bring anything on a plane, know the rules about where you’re going. If you need permits, make sure you have the right ones and that they’re readily available. TSA has no problem with our arthropod friends. Your companion will be subject to screening but you can request a non x-ray screening. The problem really depends on who you’re flying with. The airlines I contacted said that they don’t allows tarantulas to be carried on their planes. So that leaves you with option of checked luggage or shipping your animals. Good luck! And if you have any experiences let us know in the comments! *I called TSA. That's blog dedication. This entry was posted in Culture and tagged airlines, Bugs, Insects, permits, planes, Spiders, tarantula, TSA. Bookmark the permalink. 23 Responses to Can I Bring That On a Plane? This was immensely helpful. Thank you for this post! Can I travel with my pet millipede? Any ideas on restrictions on insects in Canada? I mean, I definitely haven’t snuck any Archips or sawfly pupae on board… I was just… uh…. curious. Here’s a thread with more general answers. Any idea about taking dead bugs on a longhaul flight from the US to the UK? Are you allowed to bring dead insects into the UK? It really depends on the customs. Generally no – even for dead insects you need entry permits and exit permits. I’m having trouble finding out if I can take some of my framed moths from North Carolina to Kansas, but I can’t seem to find the right information. Is it generally okay to transport dead insects within the US? Yeah it’s generally fine to bring framed properly preserved insects across state borders. If I went to Honduras and collected insects would it be okay to bring back dead insects to North America? How about lubber grasshoppers on a plane from Florida to ny for my kindergarten class? Unfortunately, permits are required for inter-state transport of some insects as well. Ey are you allowed to bring living beetles on board?for example,a dynasty granti beetle? It depends on whether they’re regulated by the USDA; and with the exception of things like tarantulas…I’d imagine that Hercules beetles would fit that list. Most countries also have their own import requirements, and I can’t comment on Japan’s specifically. However, Japan does have a thriving beetle hobby…and I’d imagine you could easily procure these legally inside of the country. I have carried nets on before. Its hard to check them since they don’t really fit in carry ons. You’ll want to make sure the net part is tightly secured. Or bioquip sells compactable nets with telescoping rods and heads that fold up. Can you bring any wild arthropods such as spiders, insects, scorpions or centipedes from Malaysia to hong kong? My guess is that you need the proper permits.